Mena Cinema Forum kicked off at the Grand Hyatt Hotel in Dubai, UAE today (October 28) bringing over 45 top-notch international speakers, 500 plus delegates from 45 countries to discuss the future of Mena cinema industry. Mena Cinema Forum kicked off at the Grand Hyatt Hotel in Dubai, UAE today (October 28) bringing over 45 top-notch international speakers, 500 plus delegates from 45 countries to discuss how the Mena cinema industry can be part of global mainstream cinema economy. 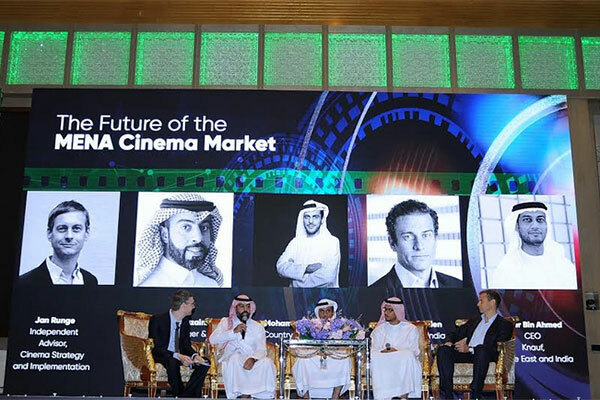 Mohamed Al Hashemi, country manager KSA, Majid Al Futtaim Cinemas, said: “We need to learn from local versus international cinema markers – Hollywood, Bollywood, Arab. KSA is a promising neighbouring market with new offerings that Majid Al Futtaim Ventures is looking into it and plan for next 5 to 10 years."